...like these Queen of the Prairie blooms that will soon be dazzling all who pass by. 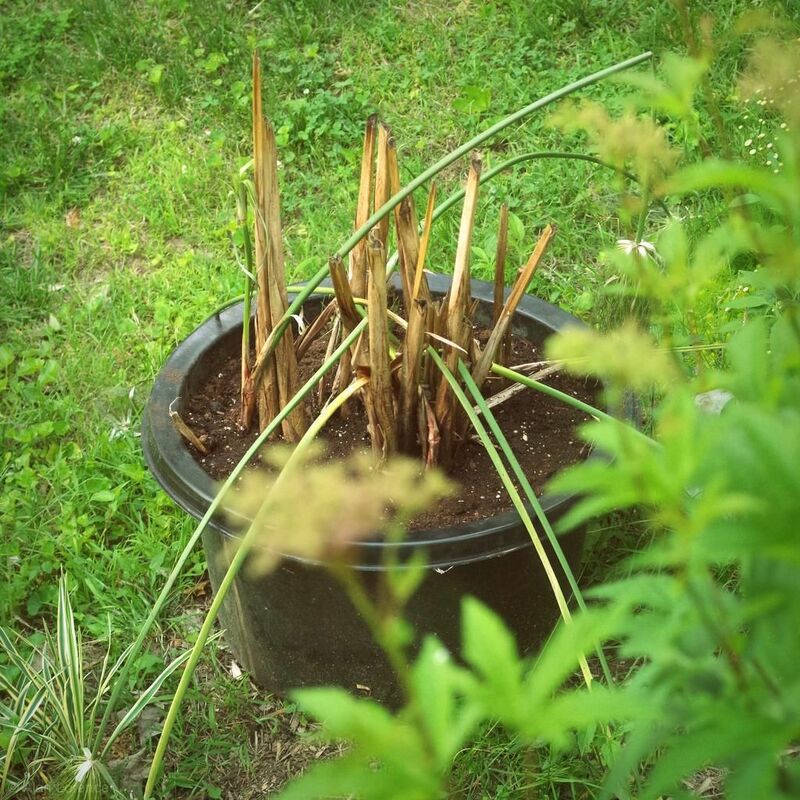 Quite possibly the saddest plant in my garden right now, my newly divided papyrus is the definition of droopy. 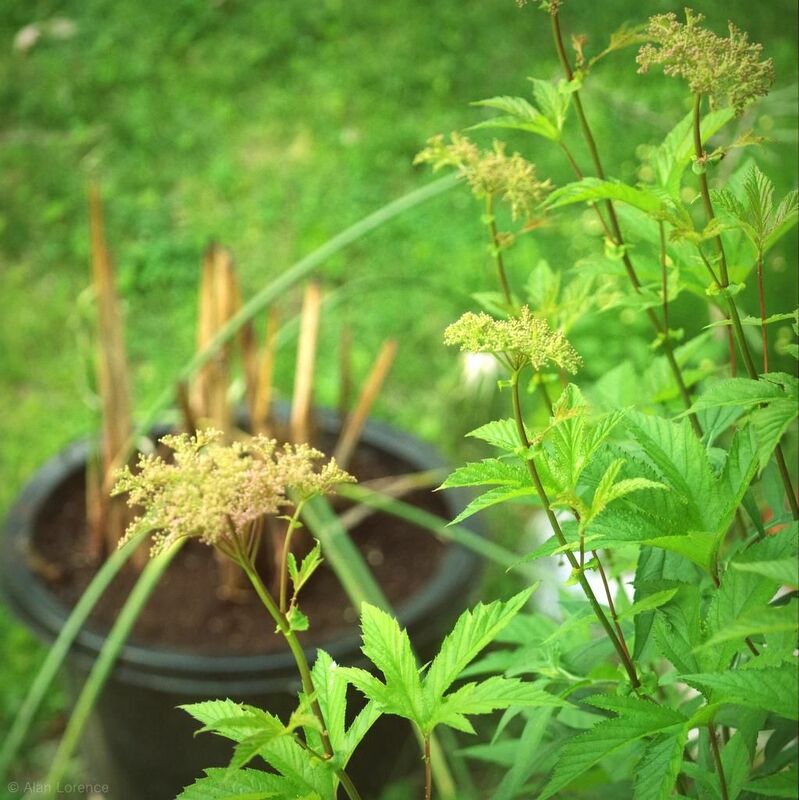 Took much damage in the dividing process, although it will soon be my favorite plant in the garden again. Grow faster! 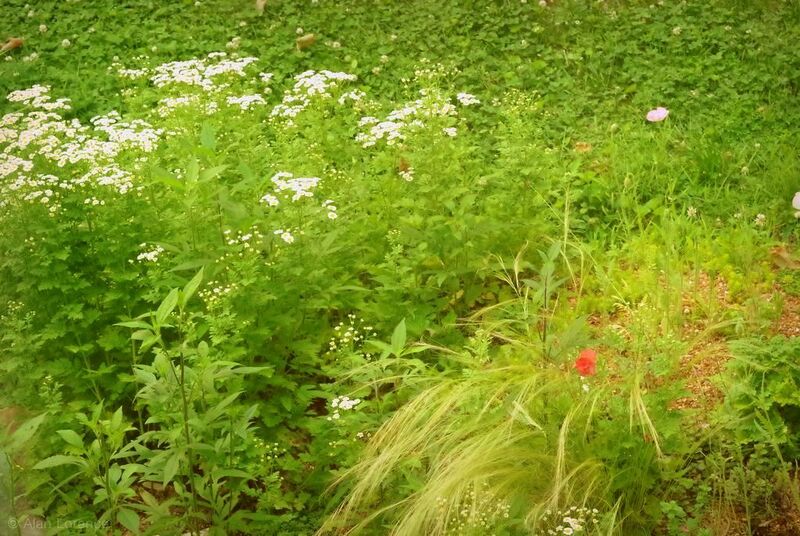 The feverfew and the annual poppies (whose seed I sprinkled in this area have surprised me by avoiding the deer -- half of them have at least) are combining to make this neglected bed something worth looking at. I'll thin out the feverfew after it blooms and move more potted succulents to this area. Sure, it's not a view for a magazine, but it's not bad! So it's all how you look at things, right? It is all in the way you look at things. My life and garden are more like your "mess" most of the time. Just call it the result you want and it's all good.